Where to go if you find parallel parking a circle of hell. Trying to park in LA almost seems like a rite of passage to get access to some of its best restaurants. If its valet, you're probably dropping enough money to buy another dish. If its street parking, well, good luck deciphering the signs if you're even able to find a spot. Seriously, those things should have a character limit. So what're you supposed to do when you're tasking with picking a restaurant and don't want to subject yourself and the rest of the group to relearning how to parallel park? We've rounded up some of our favorite spots in LA where your car isn't a burden and you don't have to allow a 45 minute parking buffer. Highland Park is doing a lot right now. One of those things is the metered lots that are scattered throughout the neighborhood and within spitting-distance of basically every great restaurant along that stretch of Figueroa. 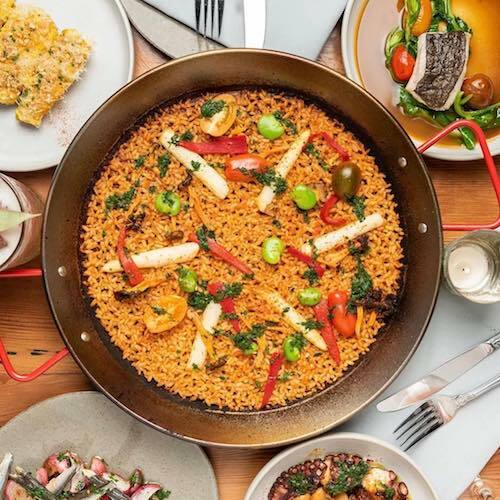 Otoño is no exception, with a lot directly behind the restaurant that makes gathering friends for tapas, natural wine, and paella easy. A spacious private lot in Silver Lake that seems to always have open spots? Sounds fake. But Haché (French for ground steak) is serving up exactly that. 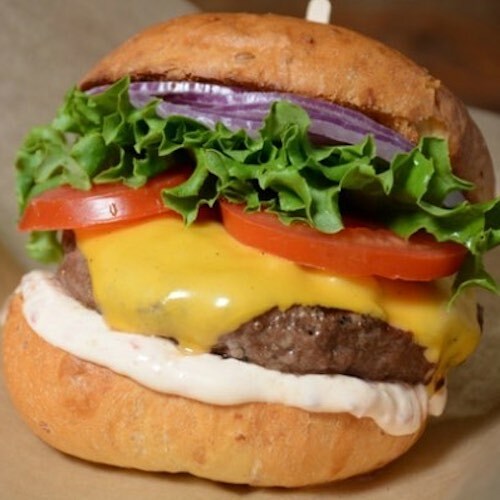 The burger-heavy menu has a full array of solid options from a Mediterranean take with hummus and feta, to their "Silver Lake" stacked with goat cheese, olive tapenade, tomato confit, fresh basil and more. Plus, they make cookie-butter custard in-house that's perfect to pair with a warm night on their patio. Some of the best Thai in LA shares a parking lot with a 7-Eleven. You're not going to go wrong with anything on the menu here, and—given the price point—it can't hurt to get a few dishes. For, you know, research. 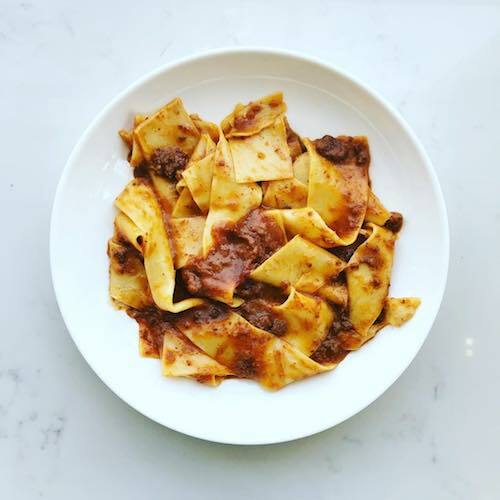 Pasta Sisters is the unfussy LA Italian spot of your dreams. There's no buttoned-up valet that costs as much as a dish. Instead, find Italian classics with homemade pasta and sauces at a cost that works for a casual weeknight dinner. 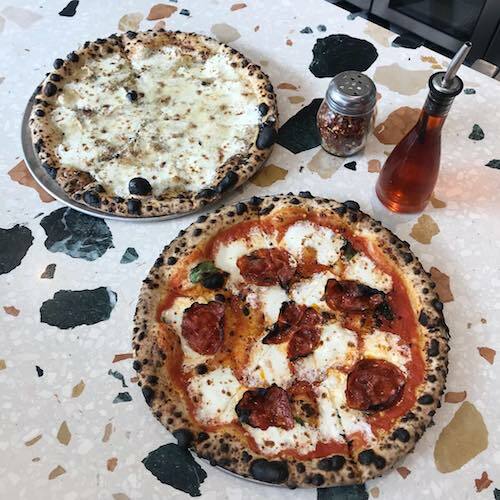 Brooklyn import Roberta's fired up their ovens at The Platform, bringing their tried-and-true blistered-and-chewy crusts smothered in cheese and toppings to the table for the pizza revolution Los Angeles is finally having. 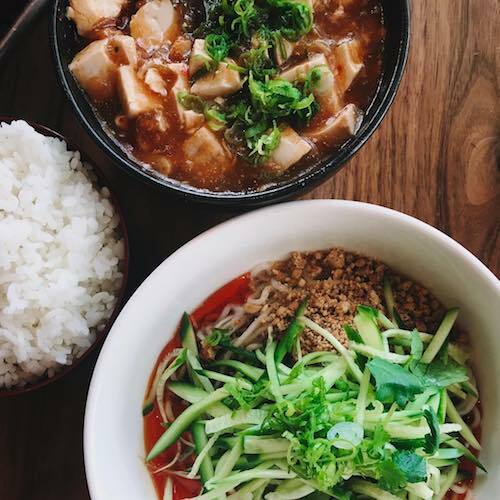 At Joy, a sister restaurant to Silver Lake's acclaimed Pine & Crane, you don't have to drive up and down the hills for forty minutes and relearn how to parallel part to get the dan dan noodles and scallion pancakes you're craving. 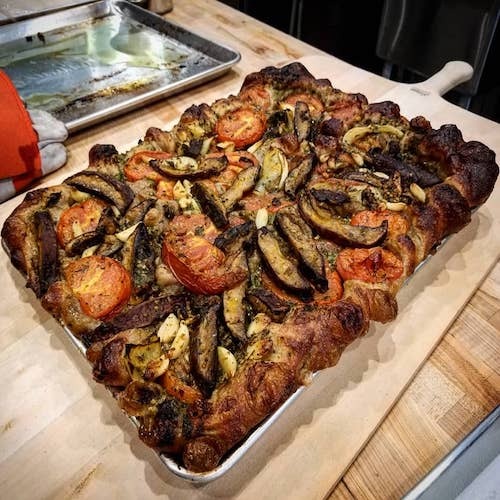 Lodge knows bread .. and shakshuka, and pizza, and pastries, and ya know what—whatever they're making, it'll probably be great. The second location of one LA's favorite bakeries has opened in the Valley which means one thing: parking. Plus, as part of the new Valley Country Mart development, pairing a great coffee with your carbs is going to be as easy as walking a few doors down to Blue Bottle Coffee. 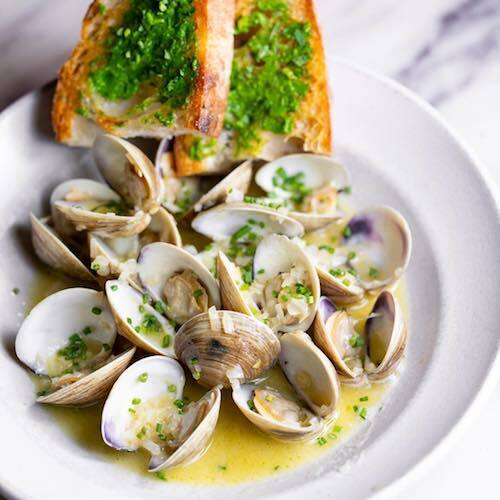 You're going to Dune for great Mediterranean food that doesn't require a reservation. Find a spot in the front, bring some friends, and order the falafel, the hummus, and any of the sandwiches. Dream team Jon Shook, Vinny Dotolo, and Ludo Lefebvre's brightly colored strip-mall spot is as Silver Lake as it gets (and we mean that in the best way.) Serving up French-Mexican in its cozy digs, they're open for brunch and dinner every day, and the birthday cake will leave you dripping in delicious nostalgia. Abbot Kinney basically has one large parking lot running its length, and if you're there at the right time, it's an absolute breeze. Lucky for everyone, Gjelina is right off that parking lot and is still as good as you remember. 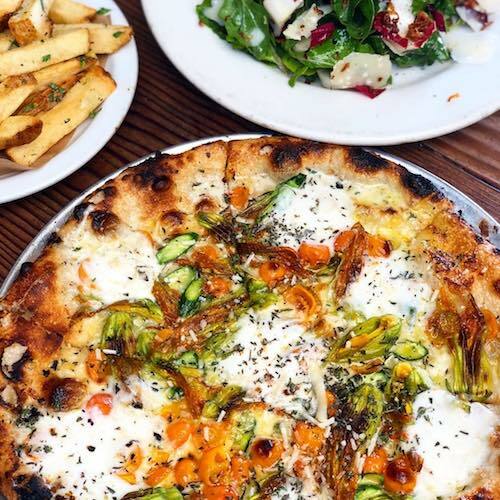 The menu runs pretty deep these days, but you're doing it wrong if a pizza and a vegetable don't end up on your table at some point. Gallic-inspired burger shop serving its signature dish in the classic French style. Pasta Sisters is a casual and cozy little slice of Italy located in the heart of the historical residential area of Country Club Park, in Los Angeles, CA. They stay faithful to the tradition of Italian cuisine with handmade pasta classics and panini. 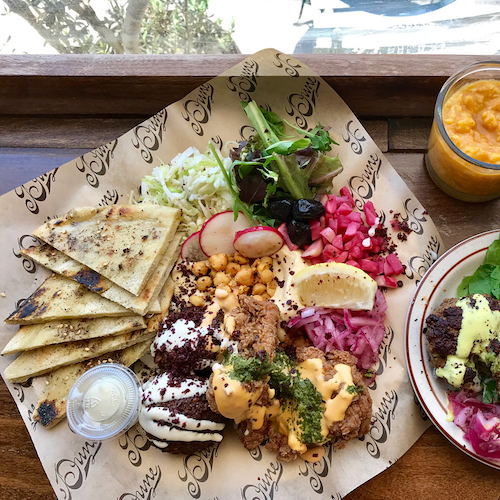 Small daytime-only spot for chef-driven French-Mexican brunch fare & smoothies from celebrity chefs. 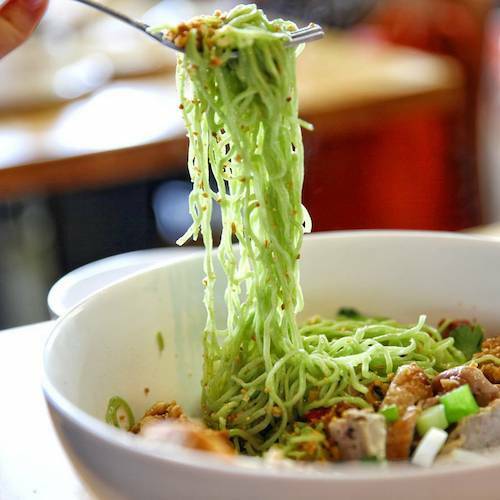 Casual eatery offering a seasonal menu of Chinese & Thai small plates, plus noodle & rice dishes.